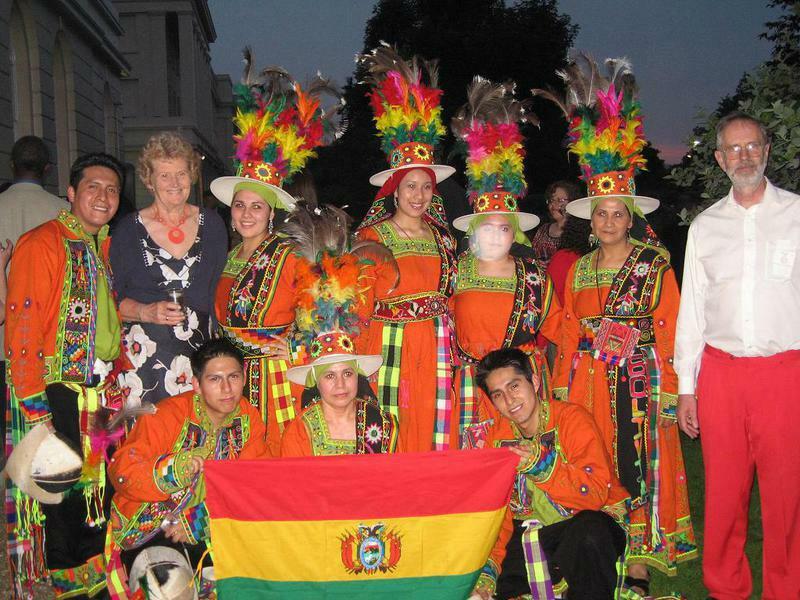 Project to provide sewing machines and sewing accessories to the local branch of the Bolivian Institute for the Blind to enable the Institute to enhance its self help programmes for those who are blind or partially sighted. The Rotary Club of Westminster West(RCWW) in conjunction with the Rotary Club of Cochabamba Norte(RCCN) in Bolivia, had identified the need to provide sewing machines and sewing accessories to the local branch of the Bolivia Institute for the Blind. This Institute is known locally as Instituto de Ciegos (Institute for the Blind) Manuela T. Gandarillas. The provision of the sewing machines was deemed to be a very worthy cause as it enabled the Institute to enhance its self help programmes for those who are blind or partially sighted. 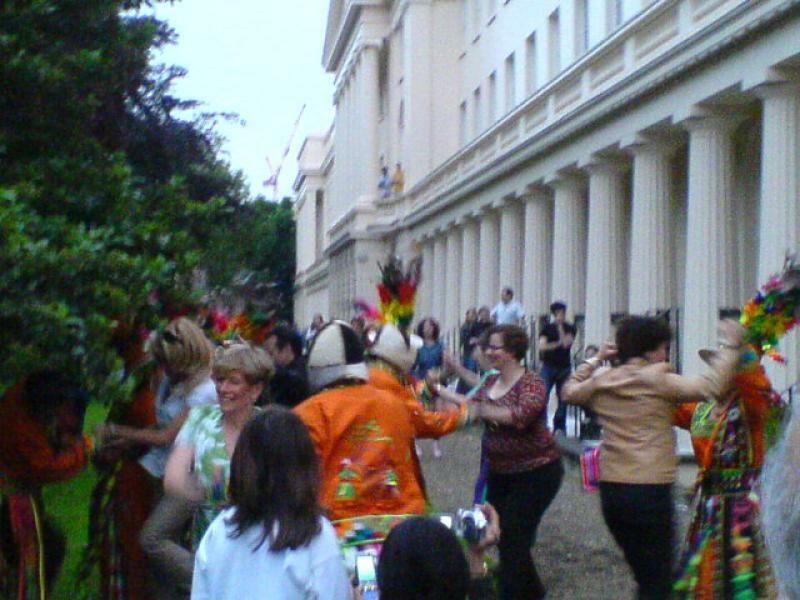 In order to raise funds for this project, the RCWW organized an International Evening at York Gate on 7th July 2008. A food and dance extravaganza was arranged and a raffle draw was included with generous prizes from various Rotarians as well as the Rubens Hotel. Over 120 Rotarians and guests thronged the event. 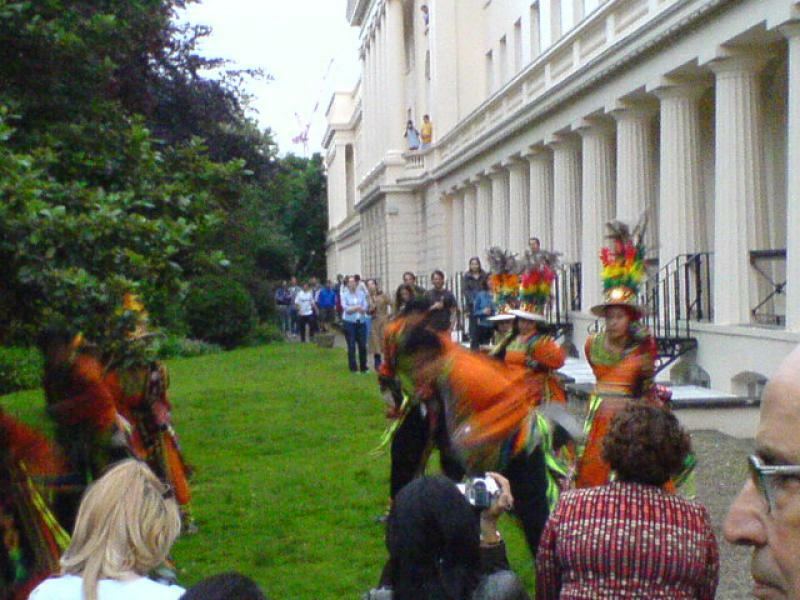 The Bolivian Embassy had very generously arranged for a Bolivian Dance troupe called Semillas de Bolivia to entertain the guests. 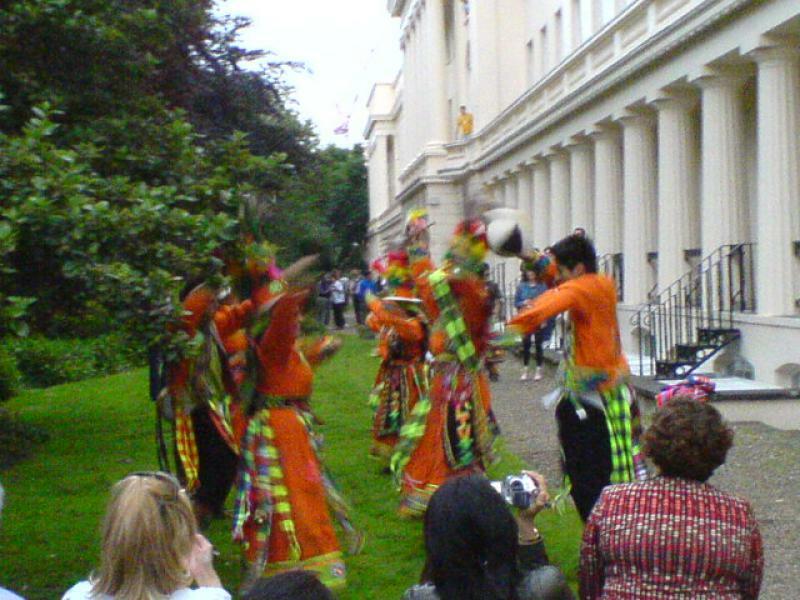 The troupe comprised of twelve Bolivian dancers who wore spectacularly colourful outfits befitting the nature of the Evening and they not only performed but towards the end of the Evening, they encouraged the audience to join in. 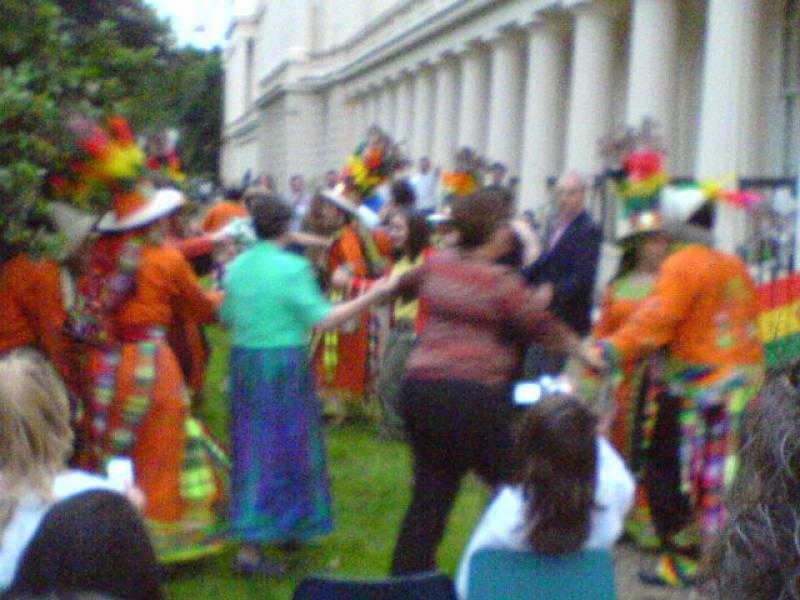 The gardens of York Gate reverberated to the catchy salsa rhythms of the Bolivian music and bystanders could not help joining in with the revelry. The list of distinguished guests included the Rwandan Ambassador to the UK, H.E. Mr. Claver Gatete and his wife. 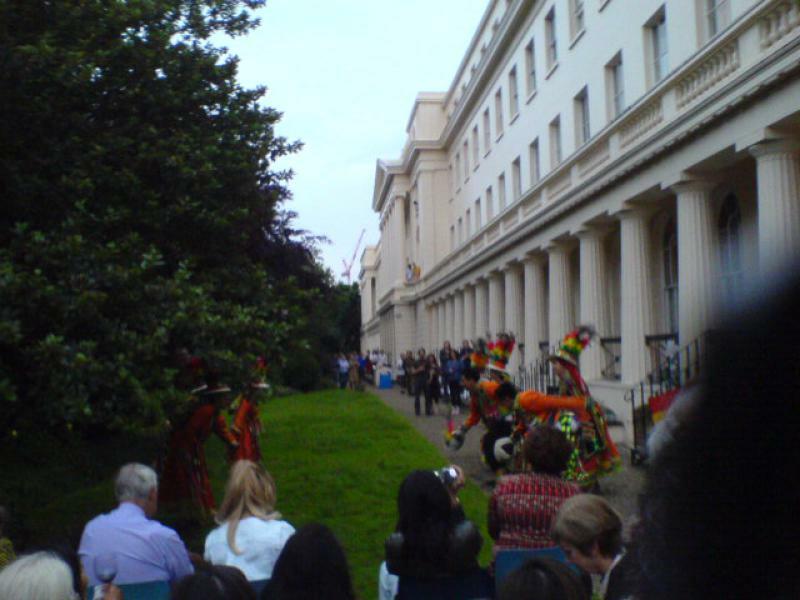 There were people from several different countries and all of them enjoyed the food and entertainment which contributed to the distinctly Latin American atmosphere of the Evening.